19 barn yard mix day old chicks are out of orpington and wyandotte also have 2 buckeye hens. Blue red laced wyandotte rooster and a chocolate orpington rooster . $6 each straight run. 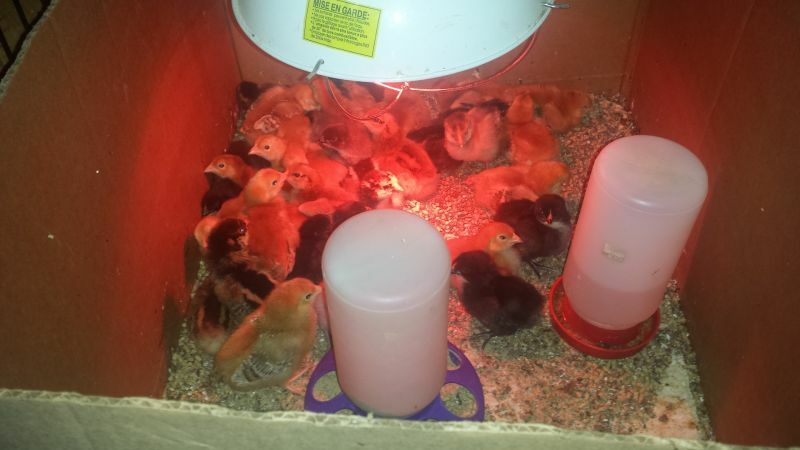 Also red broilers chicks $6 each straight run.